The Village of Ruidoso Parks and Recreation Department will be hosting a public open house to review the preliminary Moon Mountain Recreation Master Plan. 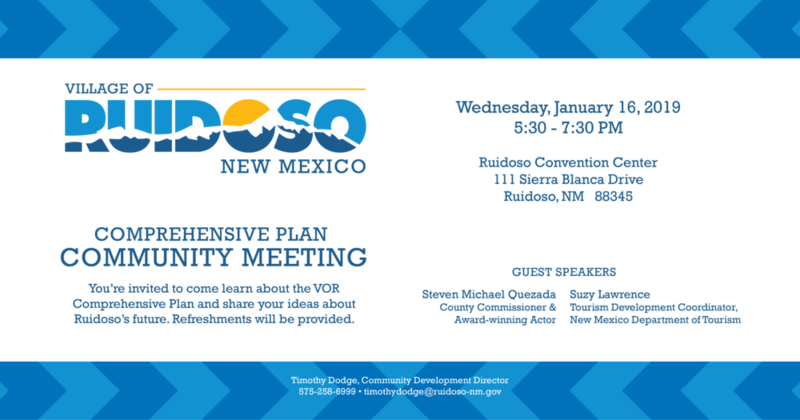 Village of Ruidoso Comprehensive Plan Community Meeting on January 16, 2019 from 5:30-7:30 p.m. at the Ruidoso Convention Center. Come share your ideas about Ruidoso’s future!